Trapped in our psyche, past traumas wind themselves into the body and present as a multitude of physical symptoms. Pain, extreme crushing fatigue, intestinal difficulties, severe itching, rashes, tingling of limbs- the list seems endless. We seem not able to control our anxiety about when or which kind of bodily experiences will be next. We are constantly on guard, judging past and possible future symptoms… was this pain the same a few minutes ago? Will it become worse? If I do this or that will it harm me? What is this new symptom about? This entry was posted in Bessel Van Der Kolk, breathing, change the brain, Developmental Trauma Disorder, Fibromyalgia, fibromyalgia and stored trauma memories, mild exercise, mindfulness meditation, talk therapy, touch on August 23, 2016 by Barbara Keddy. 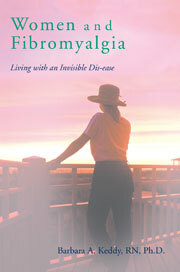 Vita Sciences "Best 100 Sites for Fibromyalgia and Chronic Fatigue Patients"